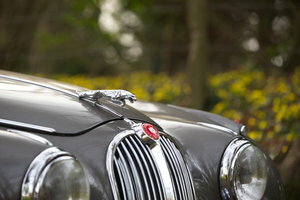 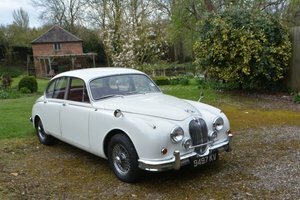 1960 Jaguar Mk2 2.4 with overdrive. 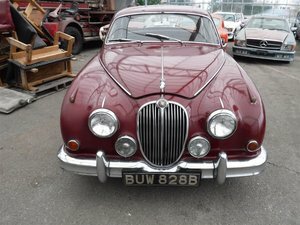 Very good condition and excellent daily runner. 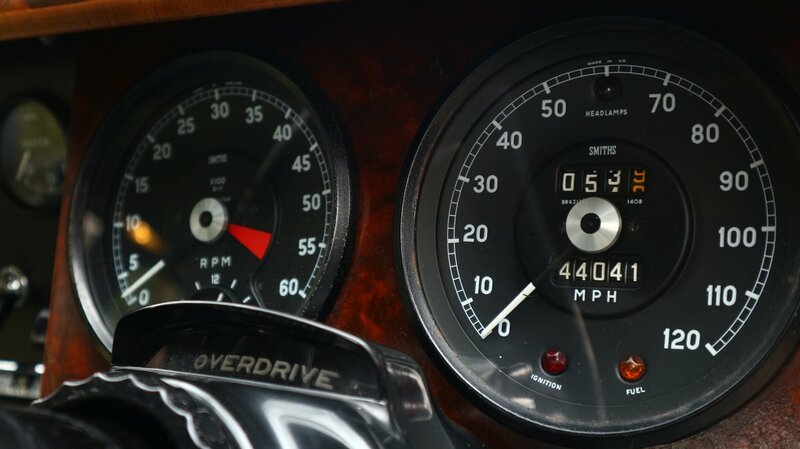 - so not quite concourse as it does get driven regularly. 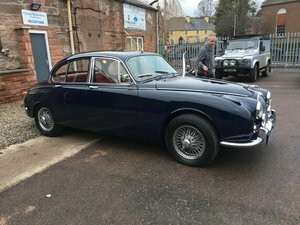 MoT to November 2019 for assurance. 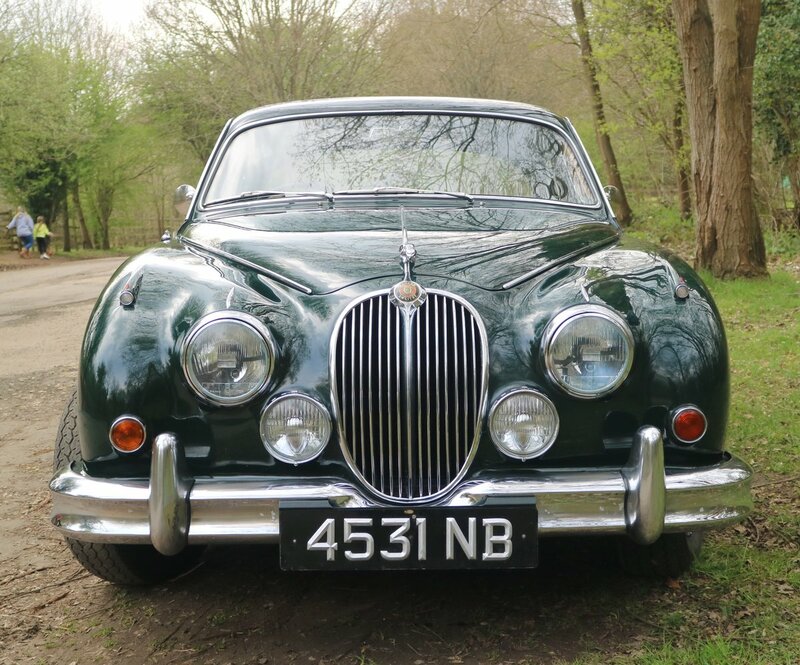 Lovely, original condition with a few sensible improvements to make it very usable - negative earth, main light relays, 5 3-point seat belts, working fog lights and auxiliary input to period radio. 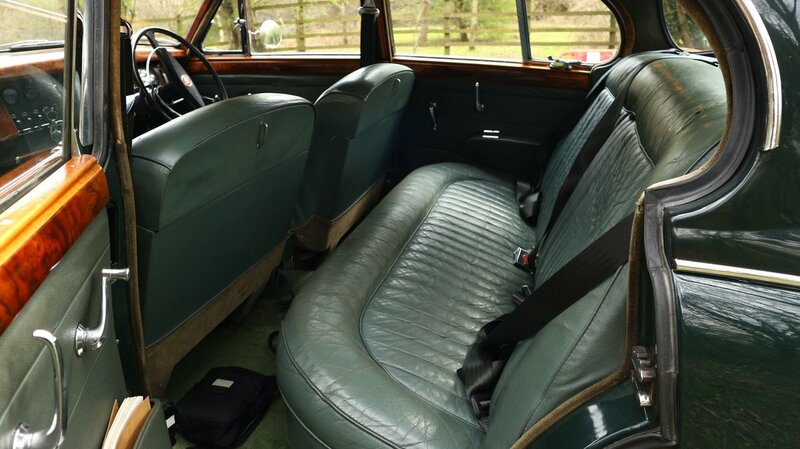 Original leather seats, new wool carpeting and everything working (except the clock of course). 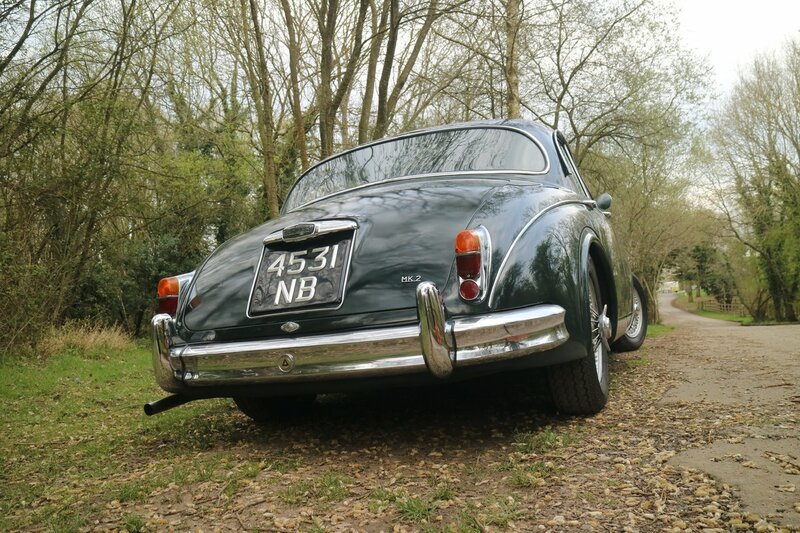 5 good Vredestein tyres on wired wheels. 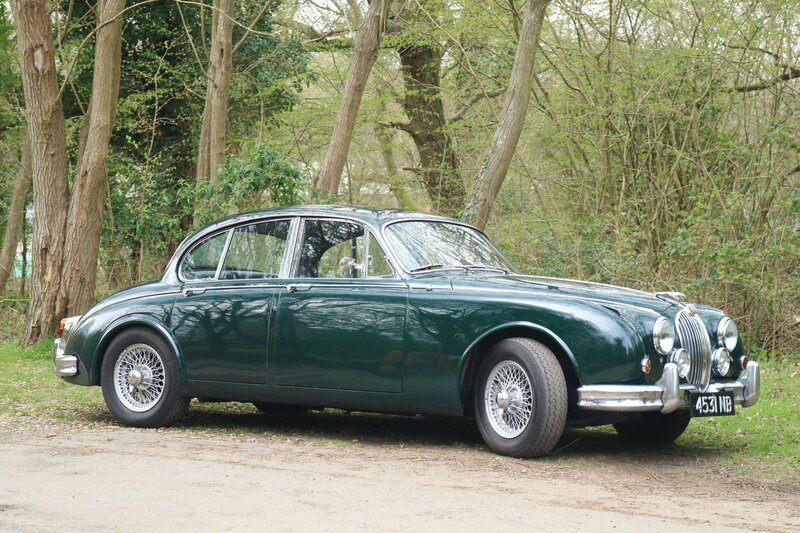 Includes Jaguar toolkit, owners manual and reasonable amount of paperwork. 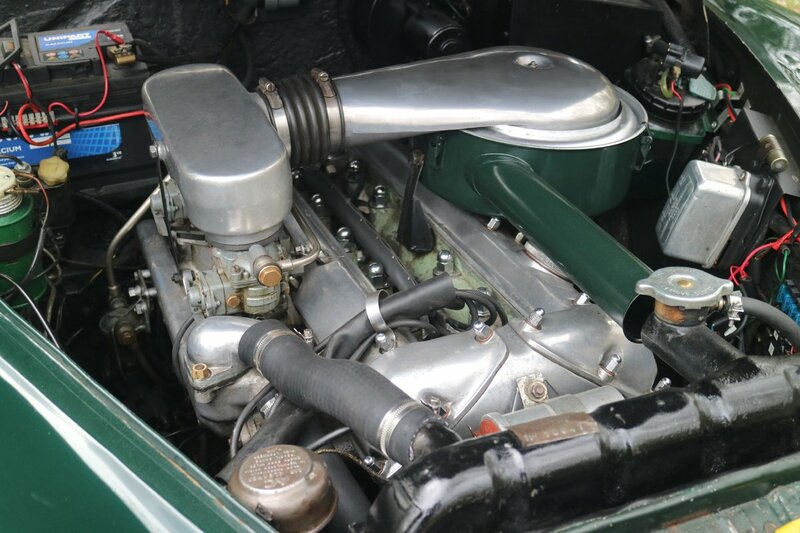 It is one of the first versions of this mythical Berline, the colour of the presentation of MK2, with automatic transmission and power steering origin. 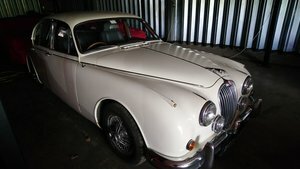 Was the target of a general restoration of high quality while keeping all the original characteristics.